Are you a kid lit illustrator who has enjoyed our resource website or Facebook group? 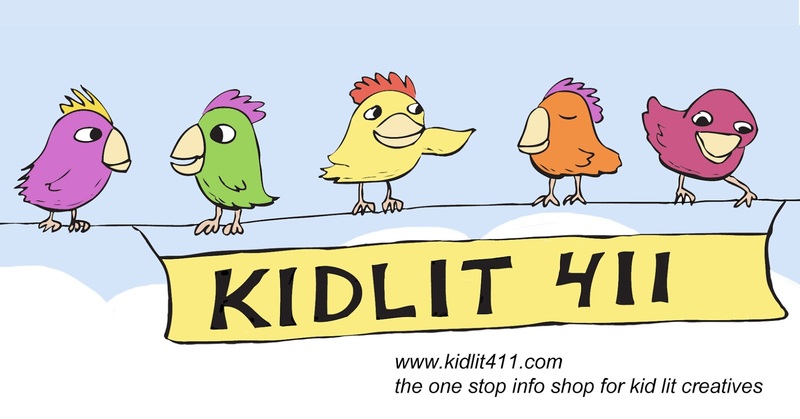 We invite you to design a website banner for Kidlit411, or reinterpret our current banner (curious birds on wire) in your own style, for temporary use on our website and Facebook group. Prizes include cash, an Illustrator Spotlight, and display of winning entries on our sites. Our website gets over 30,000 page views a month, and our Facebook page has over 5,800 members. Submit by midnight Feb. 9, 2018. What: Design a website banner (and optionally, a Facebook cover banner) for Kidlit411. FB cover banner: 1640 x 859 pixels, at 300 dpi JPG, about 5.4 in x 2.8 in. We reserve the right not to award prizes. You retain copyrights to all your images. If you are a winner or honorable mention, you give us a right to use your image as a website banner or FB cover photo for at least a month. Email images to kidlit411 (at) kidlit411 (dot) com, with the subject line: "Kidlit411 Banner Contest." Include your full name in the file name of your entry. We will send you an acknowledgement of receipt. If you haven't received one after a few days, please follow up. The entries will be judged by the Kidlit411 Team (Elaine Kiely Kearns and Sylvia Liu) and their inimitable picture book critique group (which includes both illustrators and authors), Teresa Robeson, Renée LaTulippe, Yvonne Mes, and Victoria Richardson Warneck. How exciting! Thanks for letting us do this. Fun, fun. So much fun, I've got something in the works. Can we do more than one like our own version and one with birds? In the field of planning delineation workmanship has much significance in each outlining work, however, it's exceptionally hard to locate the best representation architect for your illustrations work. Here on the off chance that you need the best representation planning work then this ilustra.co.uk/portfolio/ can give you the best delineation outlining administrations work for your task.